I recently tried bacon covered donuts from DK Donuts located in downtown Boise near State & 13th. 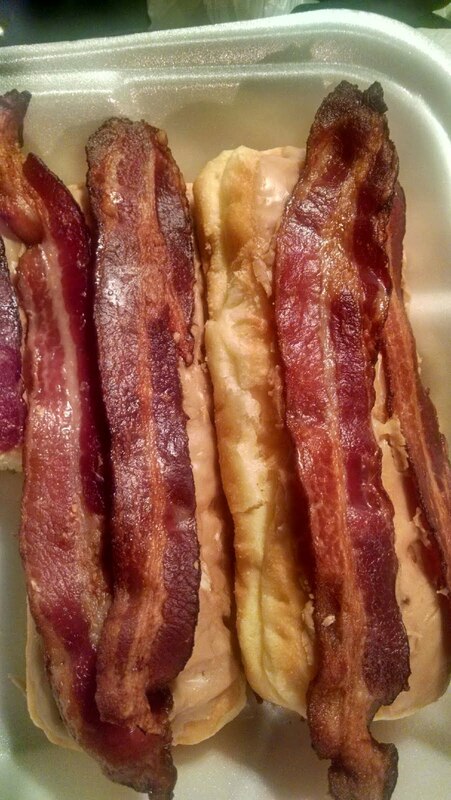 A friend of mine brought me one, and honestly, I was expecting small chunks like bacon bits on the donut, but to my surprise there were long thick cut pieces of bacon spread out across the donuts. Although I am a lover of all things bacon, I must admit, I was a little nervous about this one. I wasn't sure how well a salty piece of bacon would taste on a soft and sweet donut. I went all in and tried it anyway, and I was happy I did! It was almost like eating a bacon biscuit, and the maple frosting was like adding maple syrup to the biscuit. Yummy! I can definitely see myself warming that up, and eating it in the morning with a hot cup of tea.